I can't handle this beauty!!! It just makes me MELT! Photographers Amari and Madelynn from Foot Candles captured the magic of the day and the beauty of it all! 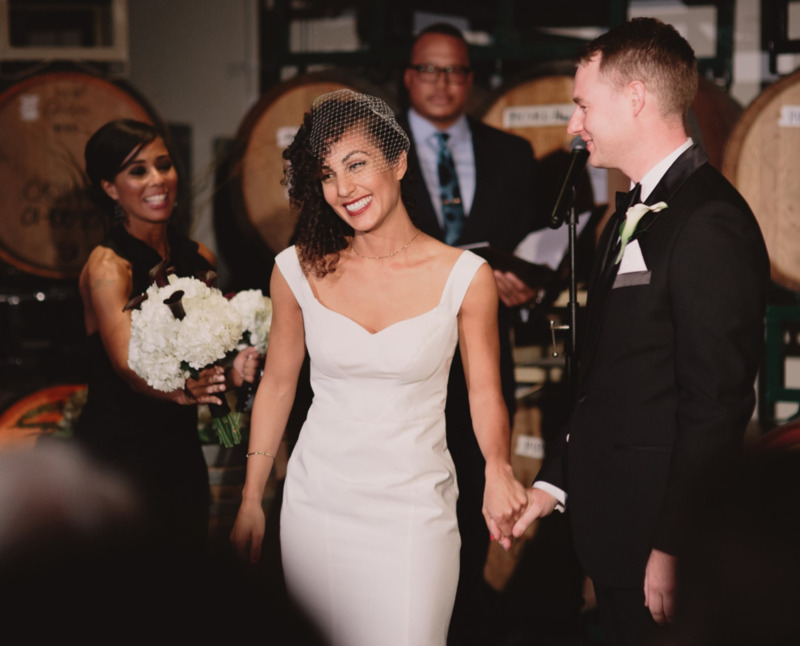 Gina and Mike were married in San Fransisco at Dogpatch Wineworks. Gina wore a Nicole Miller gown from Emerald City Gowns, her hair styled by Victor from Hair Play, flowers by a family friend, Kathy Cunningham and makeup my me! Shout out to my assistant for the day, Cameron, you were amazing! Gina's look starts with perfect brows! An absolute MUST for any bridal makeup application. In this pic I'm glueing on individual lashes (my favorite!). I shaped out and contoured her sockets with a neutral shadow, just enough so that in photos there would be good definition on her eyes and they would look huge! Then we did a subtle cat eye with black gel eyeliner. And the lips? !!!! (suspense) !!! A cool dark red! I LOVE IT!!! !